David Meiswinkle, JD with 9-11 Family Member Bob Mcllvaine: A 9-11 Grand Jury Petition Has Been Filed! David Meiswinkle, JD on the steps of City Hall in NYC presenting the 9/11 grand jury petition to the people after the historic filing! 9-11 family member Bob Mcllvaine on the steps of City Hall in NYC sharing the story of his son Bobby's death at the World Trade Center on September 11th, 2001 and offering his heartfelt support for the historic 9-11 grand jury petition. Julio Gomez, JD, a Lawyers Committee Board Member, is on the back row, right of Mr. Mcllvaine in photo. Mr. Gomez also spoke and presented the petition to the crowd. Attorney David Meiswinkle, JD is back on QMR after a lengthy sabbatical while working on the 9-11 WTC grand jury petition with the Lawyers Committee for 9/11 Inquiry! David is joined by 9-11 family member and longtime activist Bob Mcllvaine to discuss the recent action in NYC, explore some of the evidence of the petition, and more! 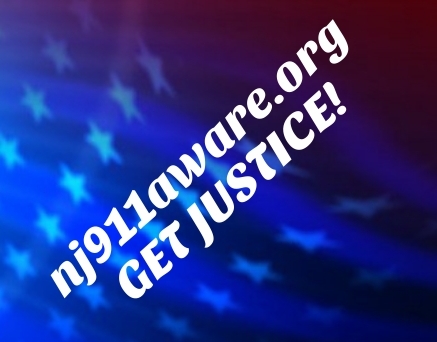 David Meiswinkle is a military veteran, a retired police officer of 23 years, and has been an attorney in NJ since 1989, practicing criminal defense for 10 years. He is on the Board of Directors and is Secretary of the Lawyers Committee for 9-11 Inquiry. David worked directly on the 9/11 grand jury petition. Bob Mcllvaine has been a peace and truth activist since shortly after the tragic events of 9-11. His son Bobby was killed on 9-11 due to detonation force injuries at the World Trade Center. His son Bobby is the namesake of the Bobby Mcllvaine Act. The first investigation into 9/11 with subpoena power? That's right, even today many Americans are unaware that the United States of America has not conducted any criminal investigation into 9/11 with subpoena power! Yet, now, Architects & Engineers for 9/11 Truth www.ae911truth.org has spearheaded draft legislation for an investigation with teeth, with the simple thing that every investigation should have, subpoena power. What else should a proper investigation have? Respect for the numerous credible witness reports from employees of the WTC and from firefighters and first responders of explosions, many in the lower basement levels and the lobbies, and some reports were from people who experienced and witnessed explosions before the first plane hit! Has the United States government listened to this crucial testimony? Not at all, as a matter of fact this testimony has been omitted! Jojn us today as we interview father Bob Mcllvaine, father of 9/11 victim Bobby Mcllvaine, and a tireless activist, for many years, for the truth about 9/11. We'll discuss Bobby's life, his story, what really happened on 9/11 and the Bobby Mcllvaine Act which was introduced to the public at the National Press Club in Washington, DC on the 16th Anniversary of 9/11 by Bob Mcllvaine and founder and president of Architects & Engineers for 9/11 Truth Richard Gage, AIA. We'll also discuss other actions developing on the 9/11 truth horizon today - on Quantum Matrix Radio.